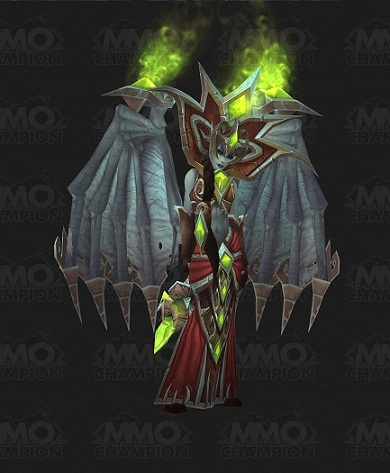 Blood Queen Lana’thel is the second boss you’ll find in the Crimson Halls wing of Icecrown Citadel. 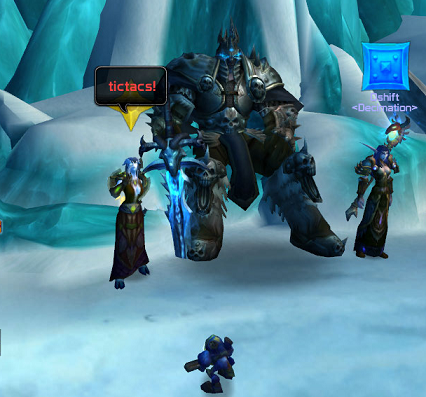 From a personal level, she was the first fight that gave us some degree of trouble while progressing through Icecrown Citadel. More over, she’s by far one of my favourite encounters in the instance to date. 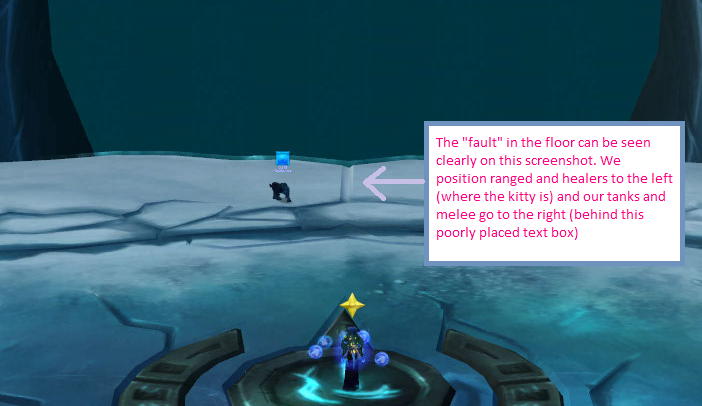 This will be, without a doubt, your toughest DPS check to date in Icecrown Citadel. 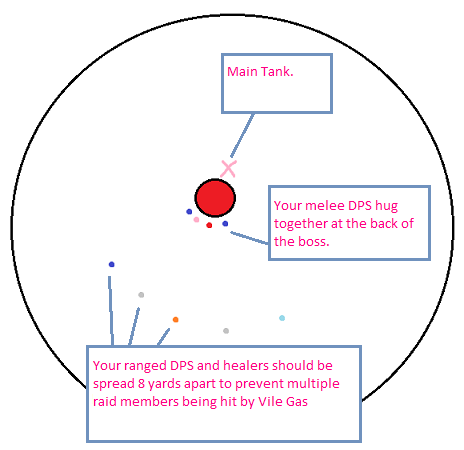 The early part of the fight is also nasty on the healing but as more and more people are “bitten”, the healing requirements ease of drastically (and you may find you want to ask your healers to try to DPS a little where possible). 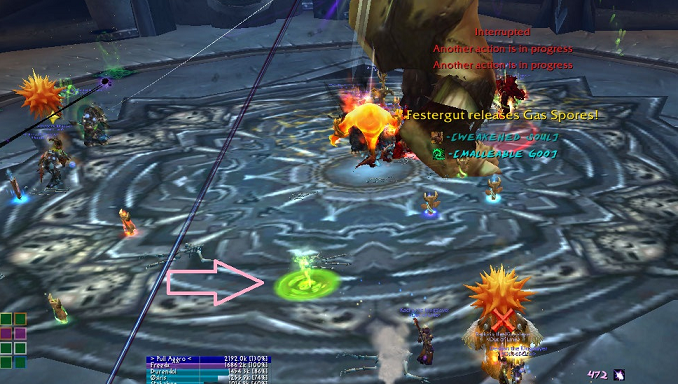 We use three healers for this fight (as a ten man guild). I know some guilds do it with two but you may find the damage rather too difficult to heal through in the early stages. This is another fight where positioning plays quite a key role in handling the various abilities that the Blood Queen will be using. When you reach her room, as always, try to familiarise yourself with the outlay. 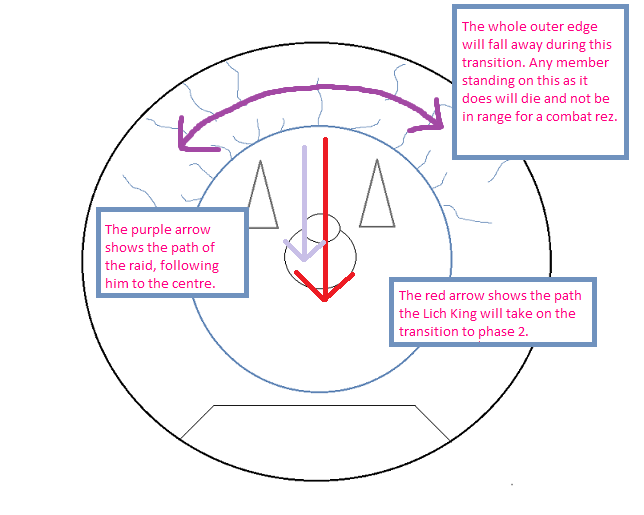 The second picture shows the positioning that we use for phase one of the Blood Queen fight. 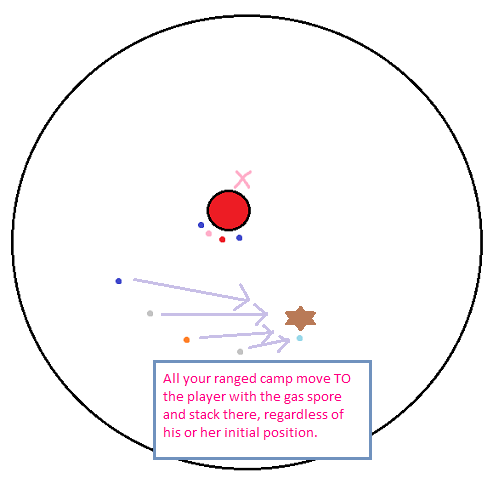 Blood Queen can be considered a two phase cyclical fight. That is to say, phase one and two continue to repeat until she dies. 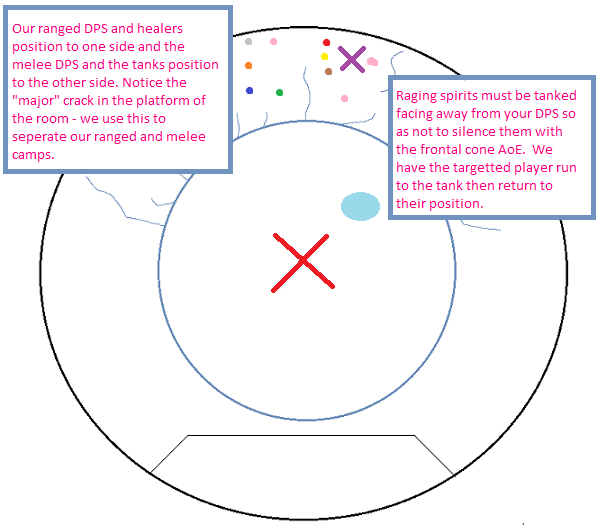 You can get your ranged DPS and casters into position prior to the pull to allow them to all understand their own spots during the encounter. 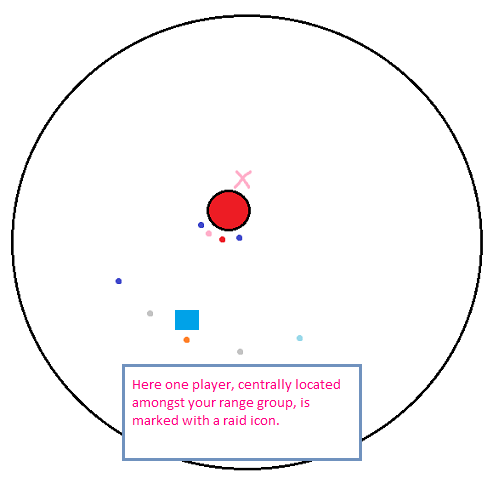 They should all spread around the circle in the middle of the room. 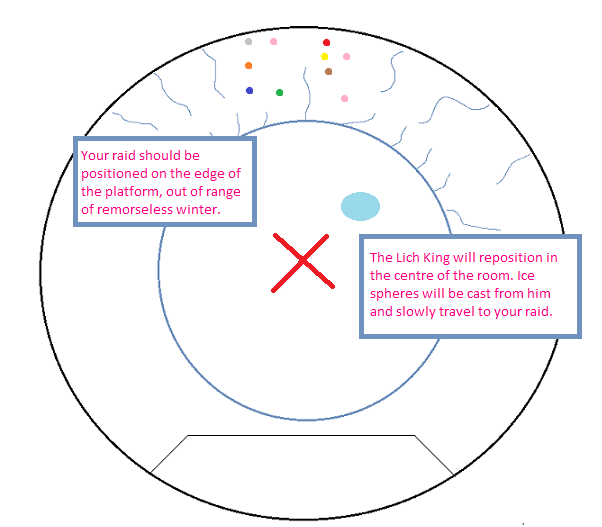 We leave the very centre of the room clear as an assigned “pact spot”. I’ll explain why we do this below. As a caster, remember your spot for phase one. 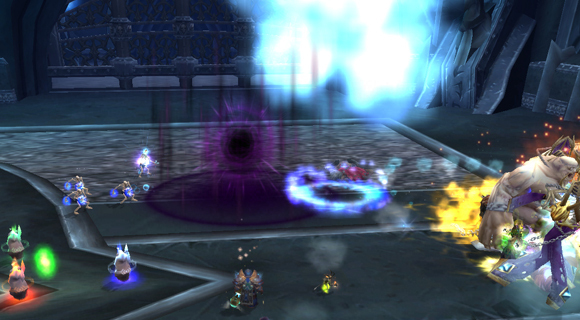 There is some moving required in this fight; though how much varies depending upon your luck with the debuffs. Ensure you can return to your spot. Fun huh? It’s worth noting at this point, that for Shaman’s using DPS totems, your Searing Totem will also benefit from this DPS increase if placed (or refreshed) after you are bitten. 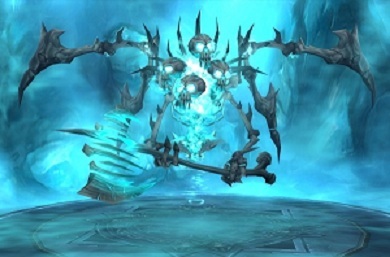 In summary, you’ll likely wipe your raid because even assuming they kill you, they’ll then most likely fail to meet the DPS requirements of the fight. 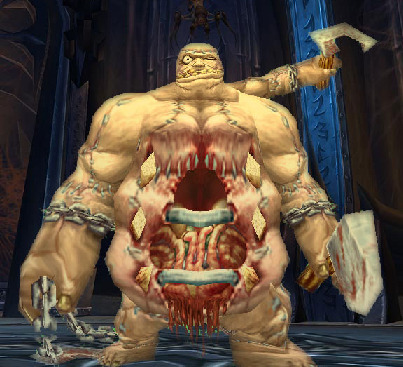 Upon biting a member of your raid, your Essence of the Blood Queen will gain another minute duration before you have to bite someone again. 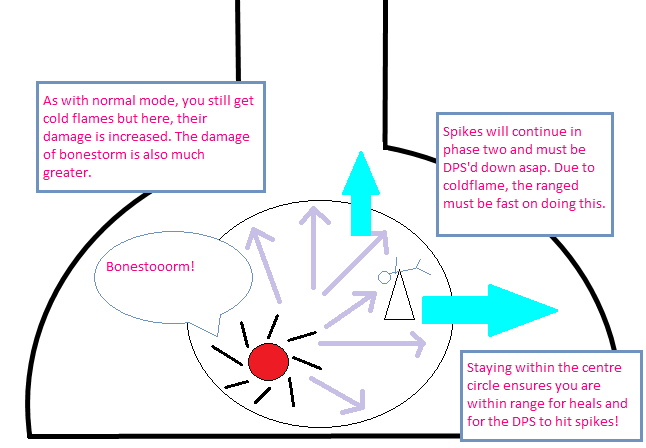 The above explains the abilities involved with the bite mechanic of this fight and it’s essential to master these to meet the DPS requirements. I’ll explain more on dealing with the bite later. There are, however, other abilities that you need to be aware of during phase one. do anything to combat this, but it’s worth knowing about. Once bitten, you’ll easily heal this via the Essence of the Blood Queen anyway (healing you based on your damage done). 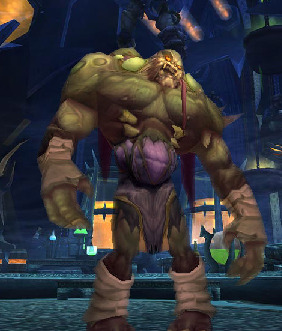 If you’ve progressed through Trial of the (Grand) Crusader, you’ve already encountered an identical mechanic in Lord Jaraxxus’ Legion Flame – the only difference being that this one is purple. 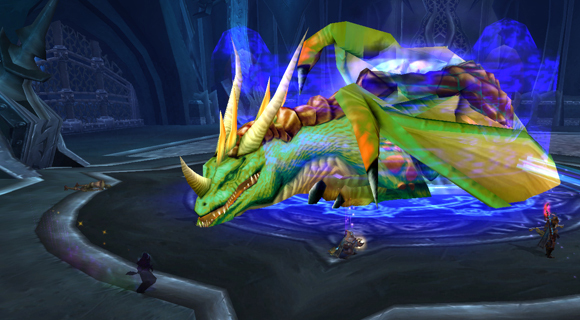 It will inflict 2-3k damage per tick and as with Legion Flame, it will follow the target it is cast upon. 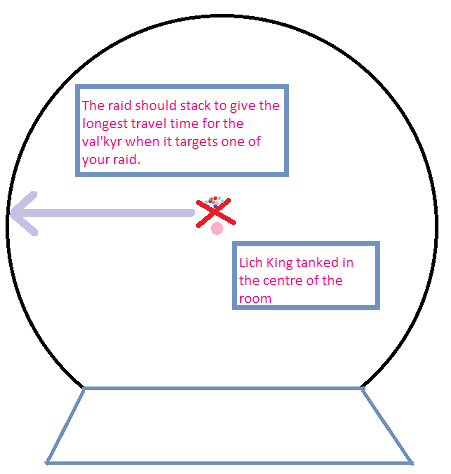 You counter this in the same way as with Legion Flame also, it has to be kited out of the raid to avoid killing other people. This is the second of her most significant mechanics that you will need to learn to handle to successfully kill Blood Queen Lana’thel. 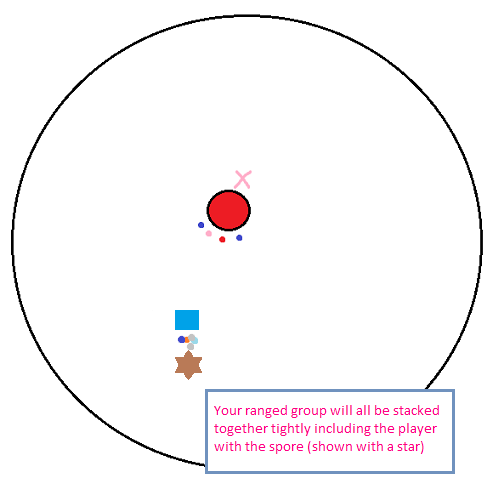 This ability will link you to another player via a red beam. 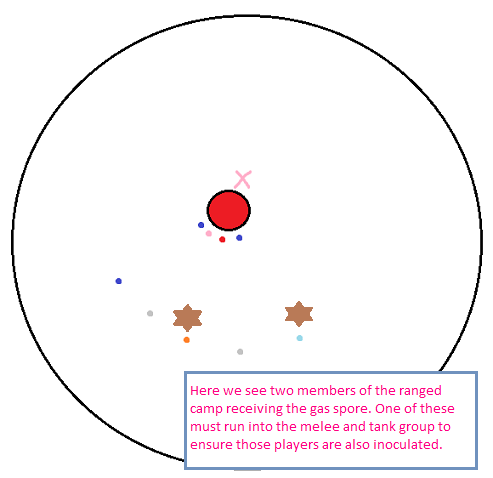 It will do quite significant damage to the two linked players as well as any players around them (one of the reasons you stay spread out is to avoid the entire raid taking massive damage from this ability. 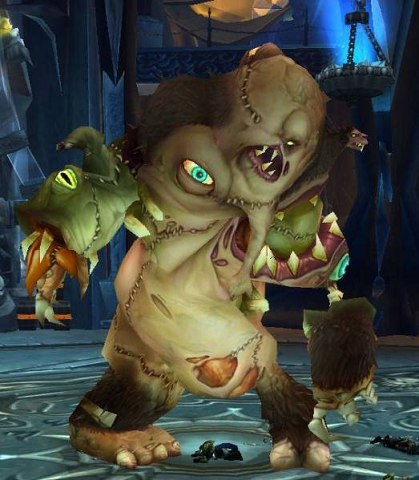 Remember the beams on Yogg that would connect two brain linked players? This is the same idea. One thing to note is that to cancel the Pact, you have to run to each other. The reason we use a pre-assigned meeting spot is to stop people running straight past each other. Yes, we had this happen a lot and yes, the damage is enough that it can result in two dead players. 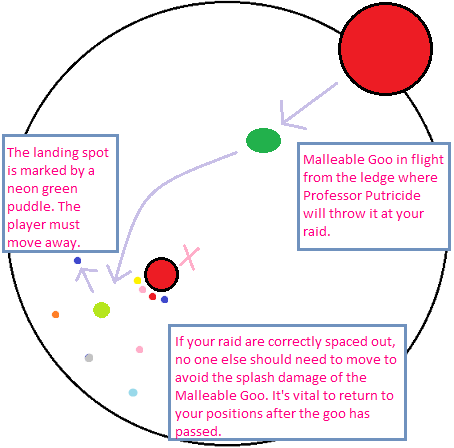 Whilst running to a spot may not always seen the most efficient path to reach each other, it does ensure that both players know where to go and where to stop to get the debuff cancelled. Again, I’ll detail this more thoroughly below. This summons a maelstrom of whirling bloodbolts that fall from Blood Queen Lana’thel every two seconds for a total of six seconds. 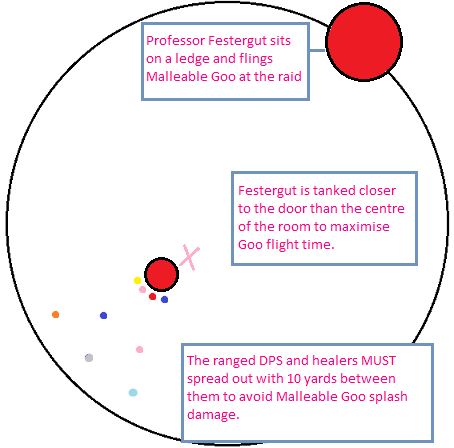 You have to spread out to avoid splash damage. Aside from that, you can’t do anything but heal through this. 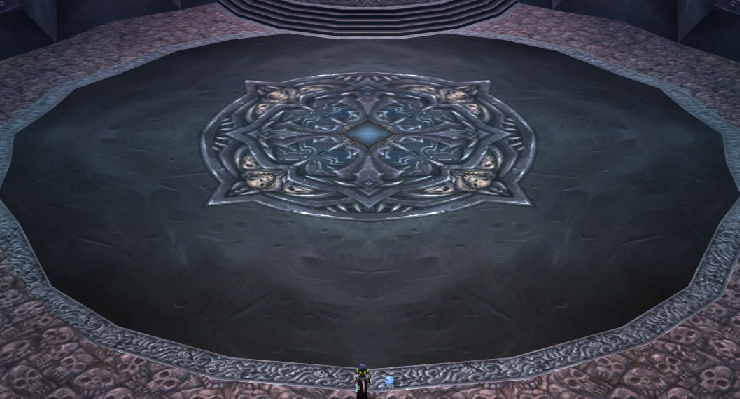 Once the Bloodbolt Whirl is over, Lana’thel will return to the ground and phase one will start over. 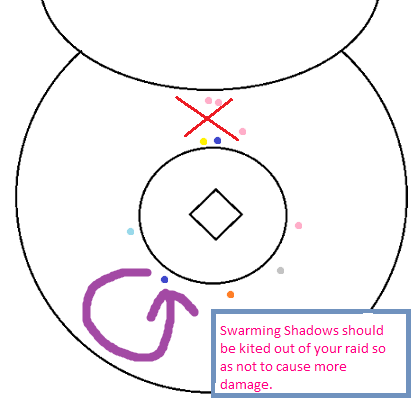 The “bite” mechanism is a really important one to deal with as it provides you with the damage output that you’ll need to beat the enrage. The first person will be bitten around 15 seconds into the fight. 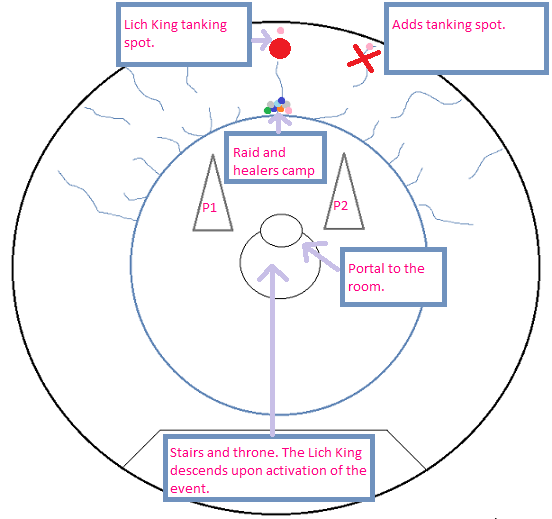 Lana’thel will charge towards the person (if at range) and bite them, instantly giving them the Essence of the Blood Queen debuff. 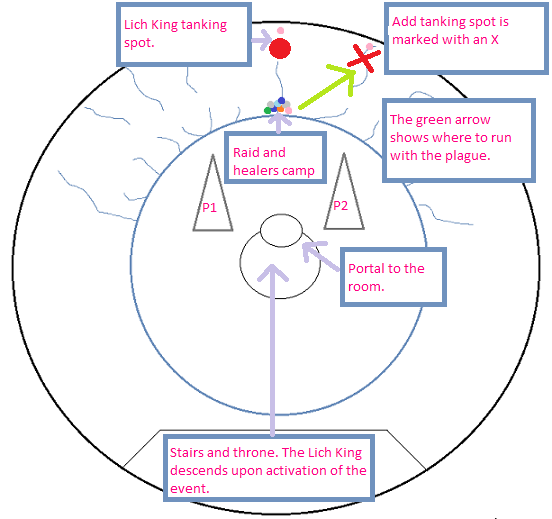 There has been a lot of debate about how that first bite target is chosen by Lana’thel. Indeed, Elitist Jerks had a whole thread dedicated to precisely this discussion. The outcome? No one really knows aside from the fact that it’s a combination of factors. That is to say, being the first on damage or threat and so on is not sufficient to guarantee the first bite. 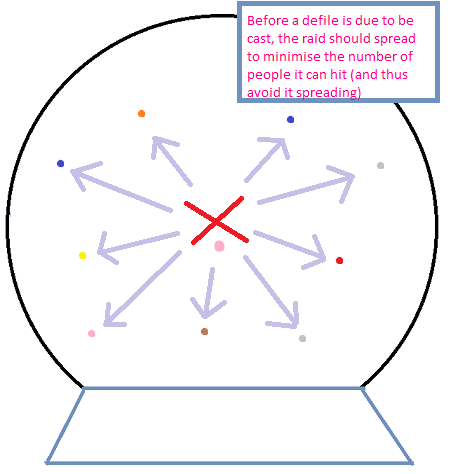 It’s best to have some kind of priority system in place for the biting and naturally, this should be based upon the damage output of the people present. 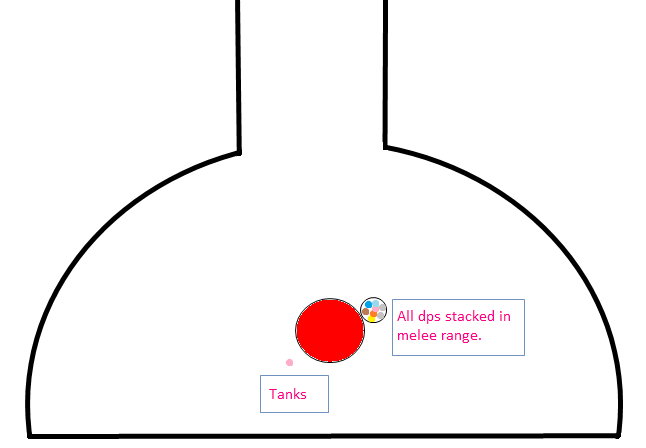 Your highest single target DPS should be bitten first. 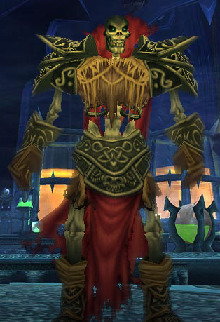 If they’re fortunate enough to receive the first bite from Lana’thel, then they should know who is next on the priority list to bite. 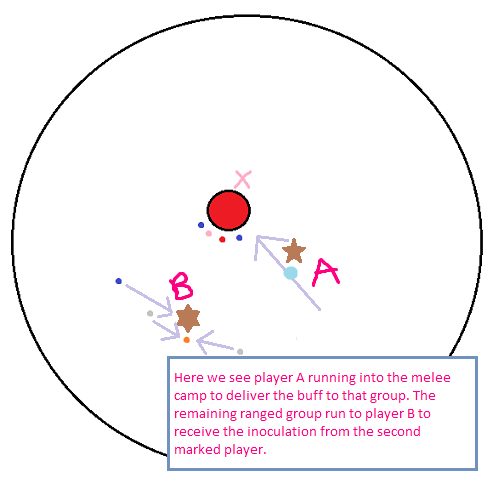 Some guilds will have different priority lists for the melee and the range to save time from players running to reach their designated bite target. There is another important factor when dealing with the biting mechanics. 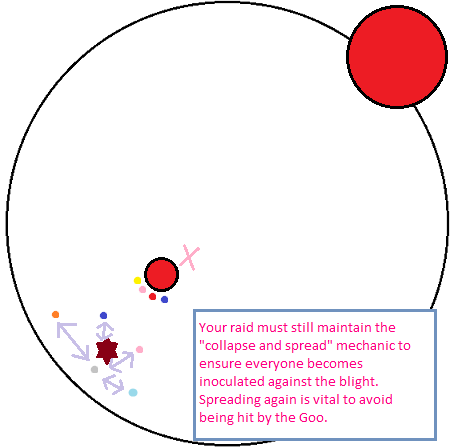 You don’t want members of your raid being forced to bite each other during the Bloodbolt Whirl during phase two. 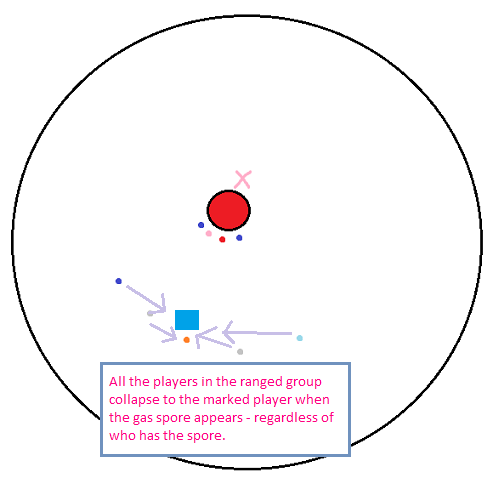 If you have a debuffed player running across the room to find their designated bite target, you’ll suffer splash damage and you can potentially lose multiple raid members. We combat the above by delaying the first player bite as long as we can. 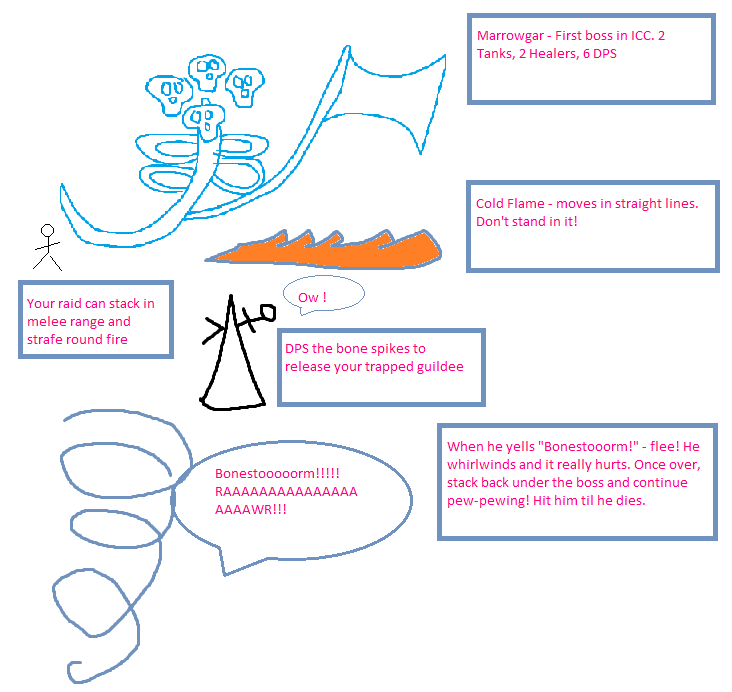 Essence of the Blood Queen initially has a 75 second duration. 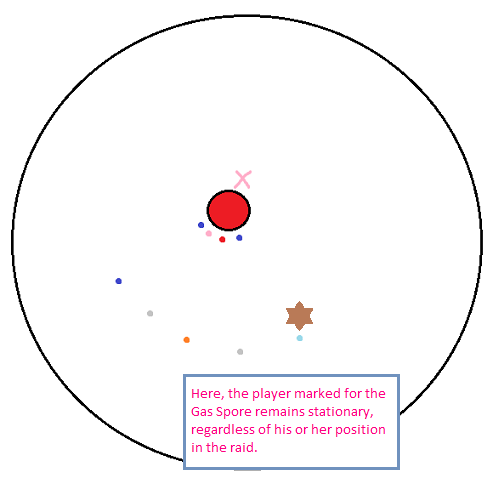 After this you have 15 seconds (10 seconds on twenty five man) in which to bite another player before becoming mind controlled. You have to be close to your target in order to bite them but we delay the actual biting until the last second or two. This will prevent the next bite phase occurring while the Blood Queen is whirling around in the air. The second mechanic that requires some learning is the Pact of the Darkfallen. The damage this deals to the pacted players is quite high and in addition, any players close to the pacted duo will also take damage. 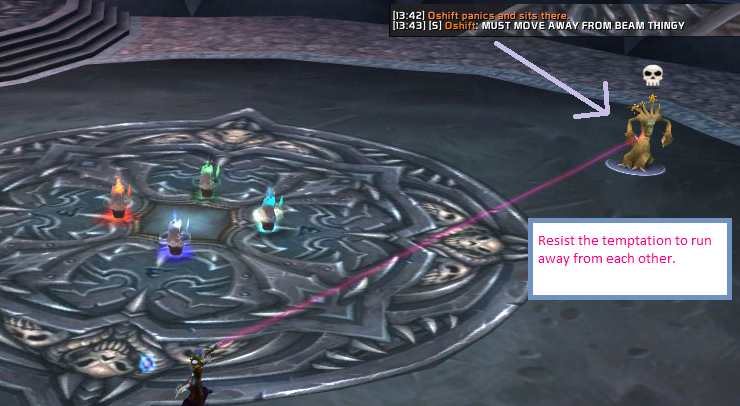 Perhaps the most infuriating part of this mechanic is that you can, quite literally, run straight past each other in a hasty panic to get rid of the debuff and ultimately, fail to remove it and kill yourselves. 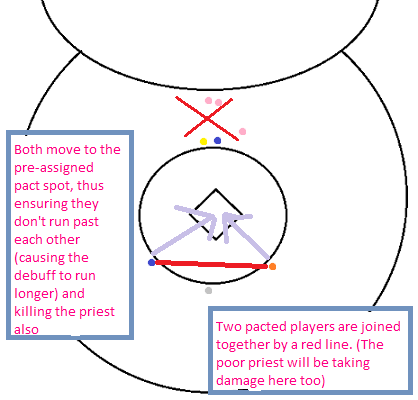 Due to this, and as I mentioned earlier, we have a specific, pre-designated spot that the two pacted players run to. 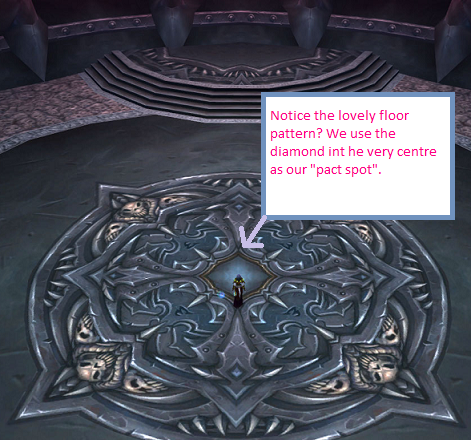 As the above screenshot demonstrates, we use the diamond in the very centre of the floor pattern as a reference for where people run to with the Pact of the Fallen debuff. To make doubly sure no one gets confused, I place my totems there too. 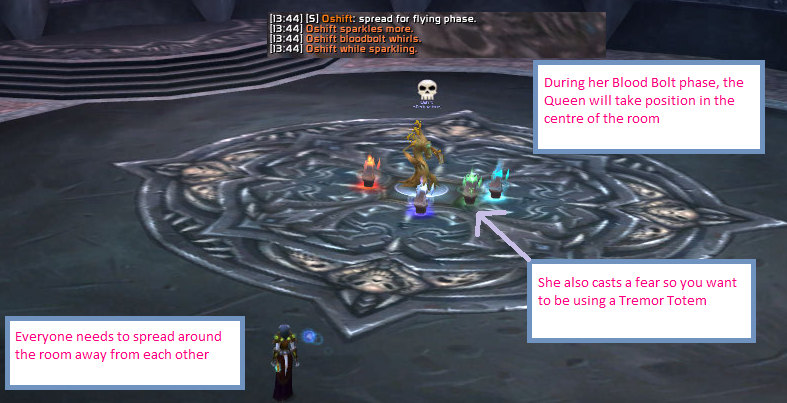 When players get the debuff, they head straight for the centre of the room and stop there. 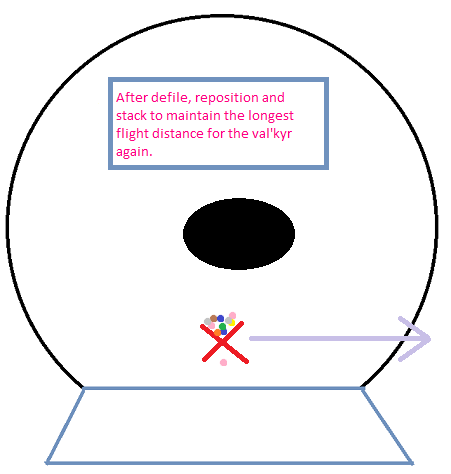 This removes the risk of them running straight past each other, stopping too early or too late and so on. 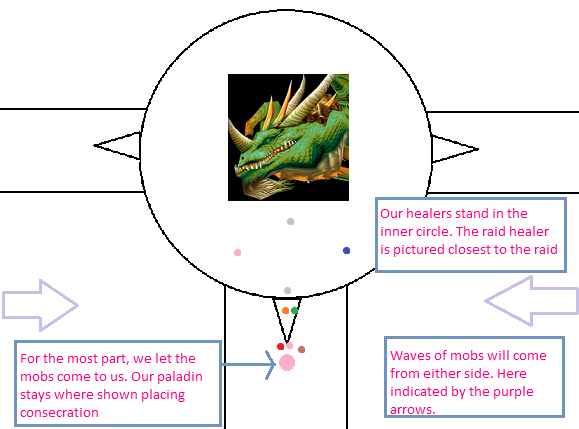 As I mentioned at the start of this article, our Searing Totems will benefit from the Essence of the Blood Queen debuff if placed or replaced after we get bitten. This can be a huge increase for the Shaman’s that are free to use them. 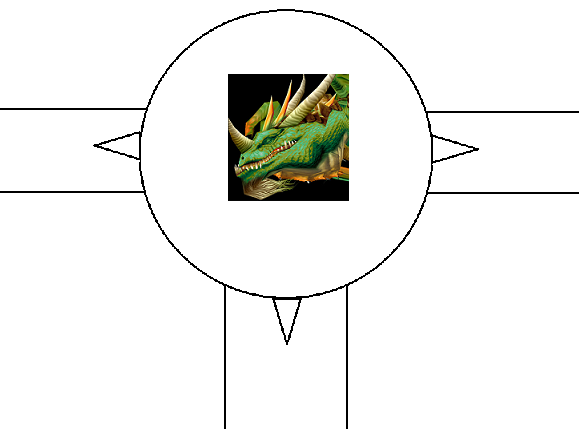 Note that our Fire Elemental Totem does not benefit from this buff. You can therefore consider popping your Fire Elemental Totem at the start of the fight (make sure you place your Totem of Wrath first to activate your glyph buff) and switch to Searing Totem after you get the Essense of the Blood Queen debuff. 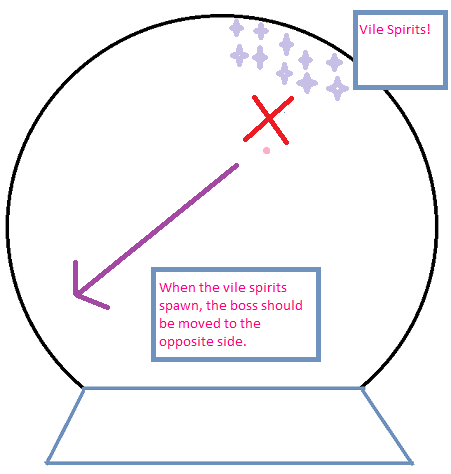 Phase two sees an AoE fear ability which needs to be removed as fast as possible. Due to this, make sure you place your Tremor Totem down before the start of phase two. This occurs approximately two minutes into the fight but as soon as you see her start to move to the centre of the room, put your Tremor Totem down. 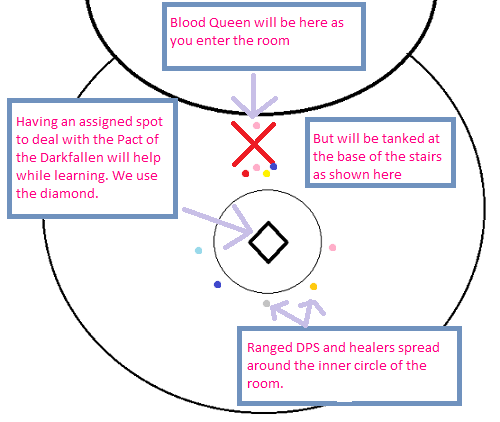 We use heroism once two people have the Essence of the Blood Queen debuff. 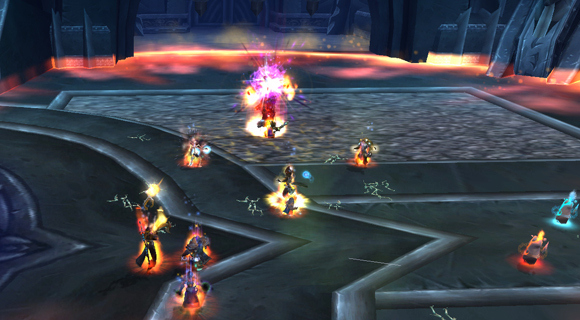 Some guilds may prefer you to wait until more people have it so check with your raid leader before popping! 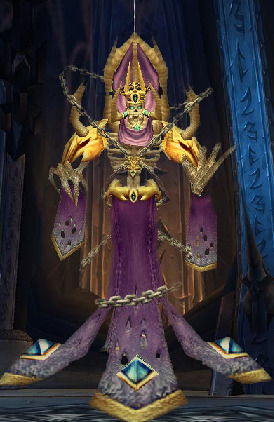 Blood Queen Lana’thel was the first boss we encountered during Icecrown Citadel progression that gave us any real problems. However, we were missing one of our main healers while we were learning and it impacted us quite hard on such a healing intensive encounter. 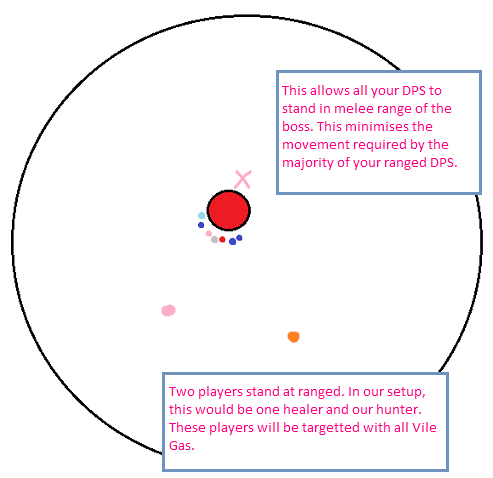 As a ranged DPS this fight is great fun since you get to see big numbers flying across your screen without the worry of high threat generation. Once you’ve mastered the bite rotation and the Pact of the Darkfallen mechanic, you’ll soon get a kill. Good luck to you all!